The latest from Kutless doesn’t break any grounds musically or thematically, but it is still a praiseworthy offering. There is something to be said about longevity and experience and Kutless has both. Personally, I am glad that they’re still working hard to make such good music with a pointed message. Take for example the powerful “Bring It On,” when you read the story behind this song it is amazing how God has used their new work already (link). Another song, “Overcome,” with it’s crunchy-guitars and commanding vocals, reminds me too of their unique qualities as a rock band that have endured since their start. 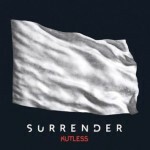 All together, “Surrender” fully encompasses what has been so likable about Kutless and promises a bright future for the veteran musicians. For more on Kutless check out http://kutless.com. Stu G, a leading member of progressive rock band Delirious? is re-releasing some older work under the aptly named label, Stugiology Music. At the start of the album, with “Come Like You Promise,” it sounds as if the Delirious? days had already planted their roots in Stu’s style of music. The album closes as it opens, with “Come Like You Promise,” but the closer is a live track that reminds me of how much I have enjoyed the more progressive “cutting-edge” rock of Delirious? and it’s cool to hear a bit of the history that pre-dates all that. 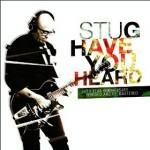 For more on Stu G visit www.stugworld.com. All the King’s Men are a folk-worship collective of artist with a unique style of worship. Their songs are intended for congregational use and for the edification of God’s people. My favorite track is “I Will Walk with Him.” A simple hymn that’s beautifully sung by James and Kristy, backed primarily by an acoustic guitar. The album closes with the familiar “Demands My All,” and again, in their own unique style they tag “O Come, Let Us Adore Him” at the end of this familiar song giving it a whole new feeling. It’s a truly amazing end to the album. I like the independent thinking behind this album and the creative uniqueness All The King’s Men bring to the album. 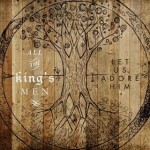 For more on “Let Us Adore Him,” check out their official web page at http://www.allthekingsmen.band.